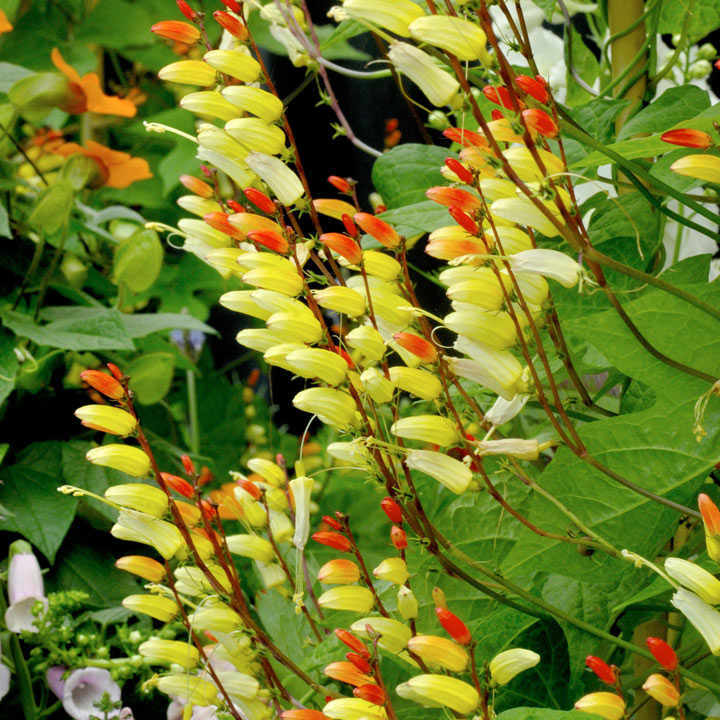 Historically known as Mina lobata, this wonderful climber produces up to 12 blooms per flower spike, the blooms turning from red to orange to yellow to white as they age, creating a beautiful effect. 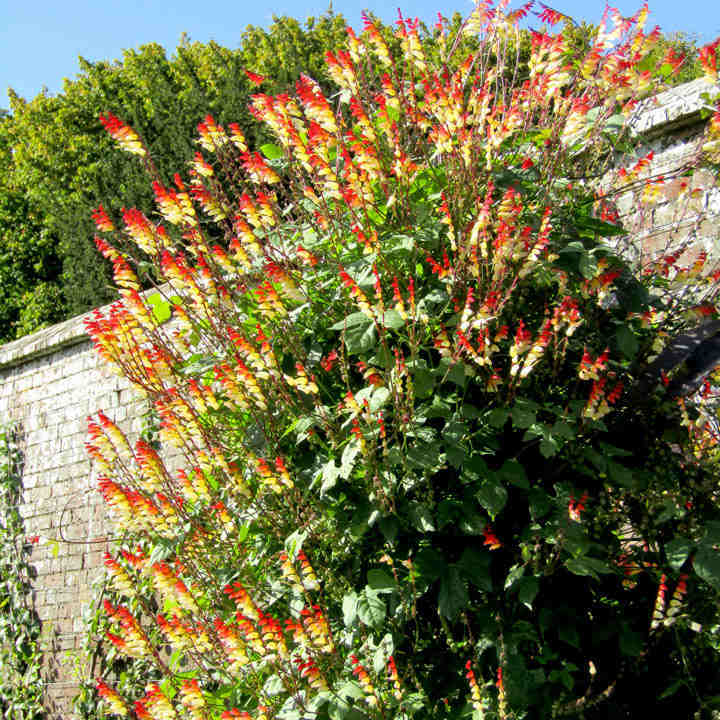 Ideal for a sunny border or container. RHS Award of Garden Merit winner. Height 1.2-1.8m (4-6’). 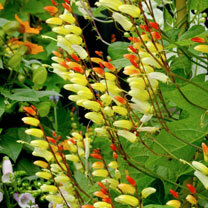 A quick-growing annual climber that will cover walls, fences, or even the garden shed with a vibrant display of flowers. Sow March-April under glass in gentle heat. Flowers July-September. deal for patio pots and containers, hanging baskets, climber. Prefers full sun.